The teachers here make yoga truly accessible and fun but still retain a strong sense of spirituality. Therapists are carefully-picked and highly skilled. 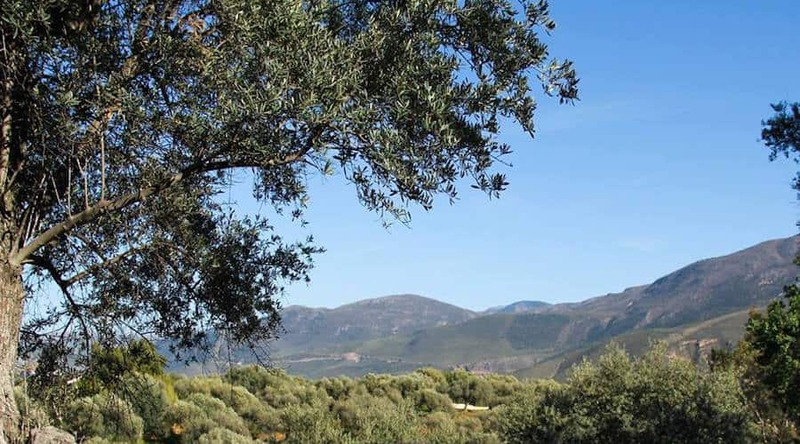 The tipis, whilst quirky, may not work for light sleepers or people with insect phobias – in those situations, it’s better to book a room in the main house or a Casita. Choose an immersive Mindful Vinyasa yoga retreat, or pair up yoga with hill walking, a juice cleansing detox, or a raw food cleanse. On each retreat you’ll usually have two yoga classes a day and lovely food, with access to treatments and the great outdoors. Kaliyoga has developed its own house style of yoga called Mindful Vinyasa Yoga, a method of yoga which will help your practice of any other style of yoga and support you in your daily life. Classes emphasise technique and how we direct our mind in practice, rather than the resulting shape of the body. You’ll be encouraged to notice what is going on within you, so that your experience becomes mindfulness in motion. Most retreats are pitched at beginner to intermediate level, though experienced yogis will gain from the deep practical and spiritual knowledge of the teachers. The main teachers are Lelly and Arantza, who teach two yoga sessions on most days – the day begins with an optional meditation practice, then the morning session, usually an invigorating two hour class, starts at 09.00, followed by a hearty breakfast. The early evening session is a relaxing hour and a half with ‘yin’ postures to release deeply held fatigue. Classes develop incrementally day by day, slowly building up with the aim of giving you a self-practice to take home. There is variety during the week; perhaps an up-tempo heat-building vinyasa flow in the morning or a fun class of partner yoga. Sessions may feature meditation, deep relaxation and reflections on Buddhist and classical yoga teachings. Chanting is also an option, depending on the teacher. 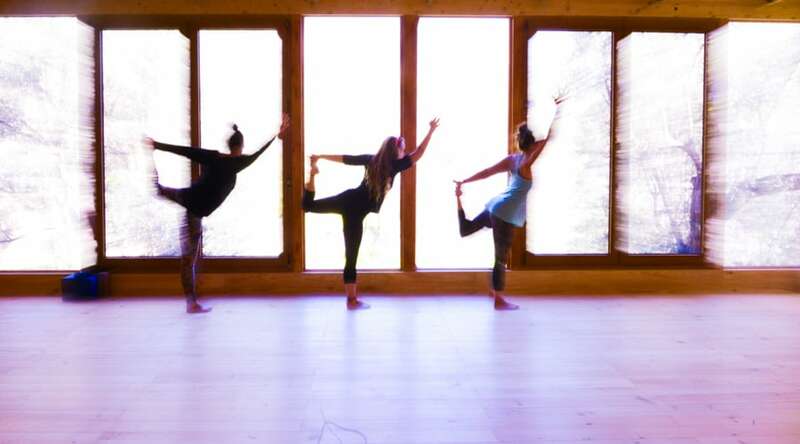 Kaliyoga’s dedicated in-house teachers approach to yoga is devoted, experienced and professional, providing you with refreshingly personal instruction, listening and responding closely to individual ability, as well as attending to the wellbeing of the group. Lelly is deeply knowledgeable about all things yoga and she has a wonderful knack of delivering wisdom in a way that is easily understood and embodied during your yoga practice. She has studied hatha, yin and ashtanga yoga and originally trained with the Sivananda school in Kerala, with additional training from Godfrey Devereux (Dynamic Yoga Method), Sarah Powers (Insight Yoga teachings), Seane Corne (Kripalu Yoga Centre), and Buddhist vipasana meditation. Arantza (pronounced ‘Aran-cha’) – was raised in the Basque region of Spain and has travelled the world. She is a graduate of Sivananda Yoga Vedanta Centre in Kerala and has also studied with BKS Iyengar and Godfrey Devereux. Her vinyasa yoga classes are invigorating and powerful, delivered with no-nonsense simplicity and down-to-earth spiritual wisdom. 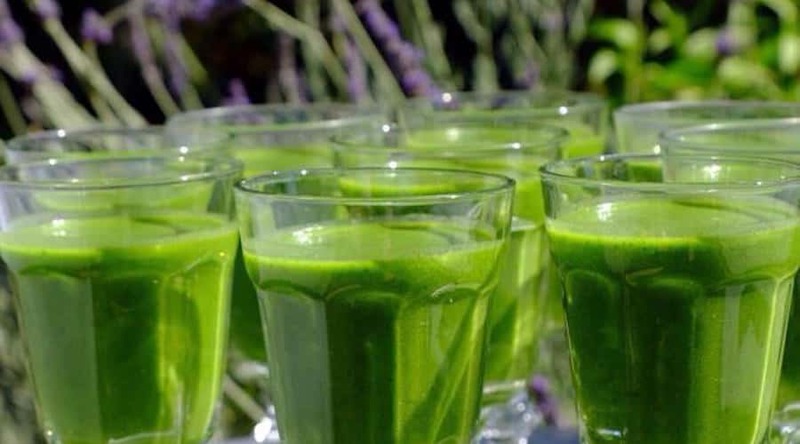 This is a week of organic juice fasting with twice daily that aims to help you reduce stress, lose weight and boost your energy and happiness levels. During the detox holiday you’ll learn how to support your body and how to make dietary choices that last, leaving you feeling, thinking and looking better. It’s a good week to choose if you want to shake off bad eating habits or just regroup – whatever you want to achieve, the programme can be adjusted to suit you so you get the most out of it. This retreat runs twice a year, in spring and autumn. This is a deeply relaxing and invigorating week that focuses on yoga and a diet of high vibration living foods including raw, steamed and superfoods. The detox aims to cleanse your system and boost your energy, and can help with long term weight management. 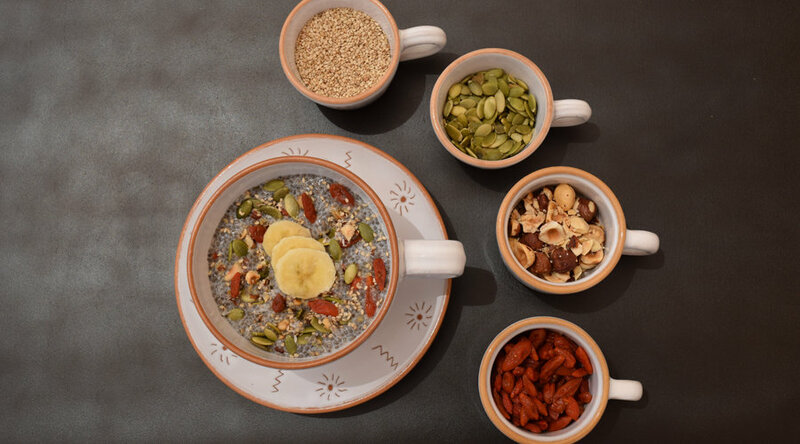 You will be introduced to a wide variety of nutrient-rich superfoods which will nurture your body, including spirulina, maca, hemp, acai, chia, bee pollen and barley grass. This retreat is offered seven times during the year, usually the first week of each month from April to October, with the Seasonal Cleanse retreat happening twice in November. 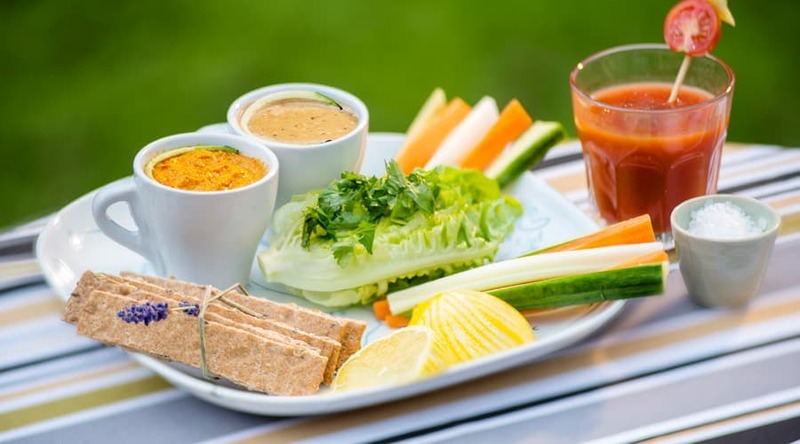 Raw Food workshops are included in the Raw Food retreat programme. 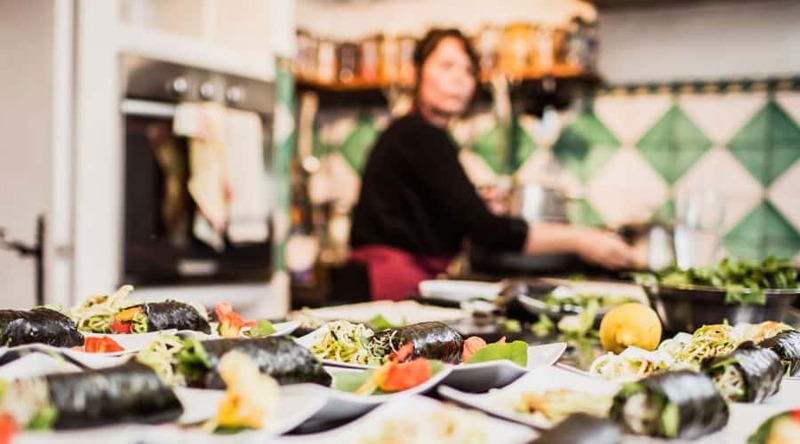 Cookery workshops are available on Mindful Vinyasa Yoga and Hill Walking retreats (25€ per person). A shorter Raw Chocolate making workshop is also available (€18 per person). Nutritional consultations are also available on request on all retreats with an in-house specialist. Therapists are carefully chosen, highly intuitive and extremely effective. Spots fill up fast, but there is no need to book in advance, unless you have a specific therapist in mind. There is a large choice of therapies including full body massage, acupuncture and lymphatic drainage as well as some quite esoteric treatments – such as Quantum SCIO (Scientific Consciousness Interface Operating-system), Bio Magnetic Pair Therapy, sound healing and ancestral channelling. Treatments can take place in three dedicated straw bale therapy rooms, in the yoga shala, and also outdoors on a shaded open-air decking. Treatments can also be given in the your room. Life tends to centre around the oval solar-heated pool, a medium size pleasure pool (rather than for doing lengths) surrounded by sun-beds and hammocks. It’s cleaned daily by hand and filtered by a solar-powered copper catalyst and minimal chlorine. There’s also a small outdoor infra red sauna with views of the mountains – it can be used at any time, and can hold up to four people. Nearby is the al fresco inversion table, for those who like to spend more time upside down. Kaliyoga encourages what they call ‘on-line sobriety’ by asking you to use your devices with discretion in communal areas (especially sensitive round the pool), and to refrain from bringing devices to yoga, meditation and at meal times. 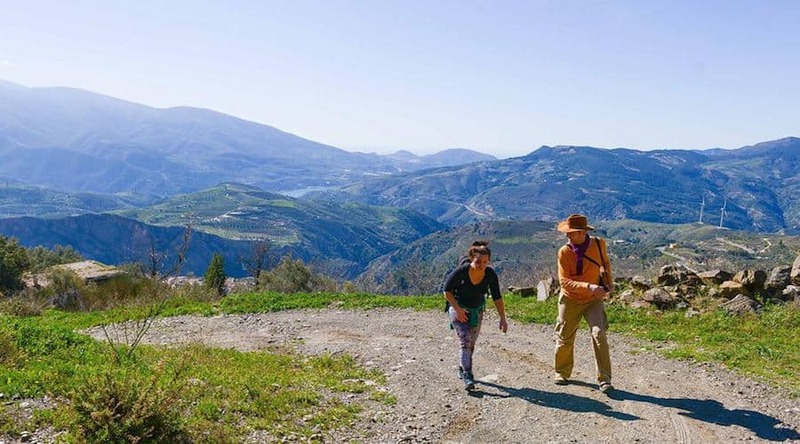 There are some good optional outings here such as visits to the outdoor village market in Orgîva, or to local spa town Lanjarôn to visit the honey museum and a 13th century castle ruins. There’s also a Tibetan meditation centre in the wild hills above Orgiva where you can walk, sit and meditate by a huge statue of goddess Tara and spin the prayer wheels. Private horse-riding can also be arranged (at an additional cost) in the mountains – this is highly recommended. 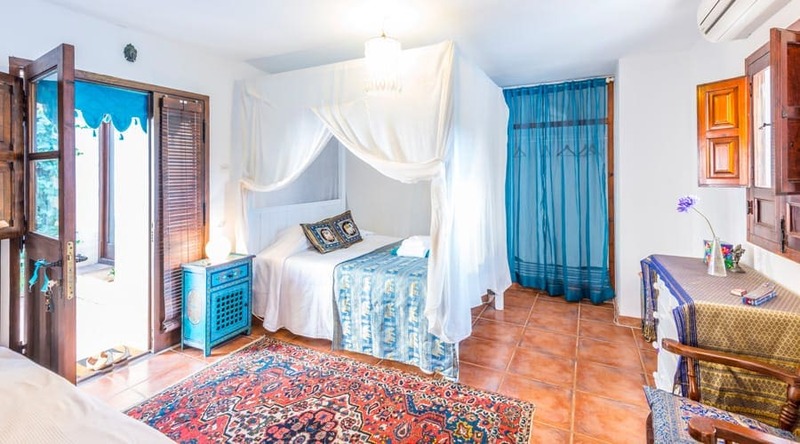 Bedrooms: The main farmhouse has two single rooms sharing a large bathroom, and one twin ensuite bedroom; all have hand-crafted four poster beds. 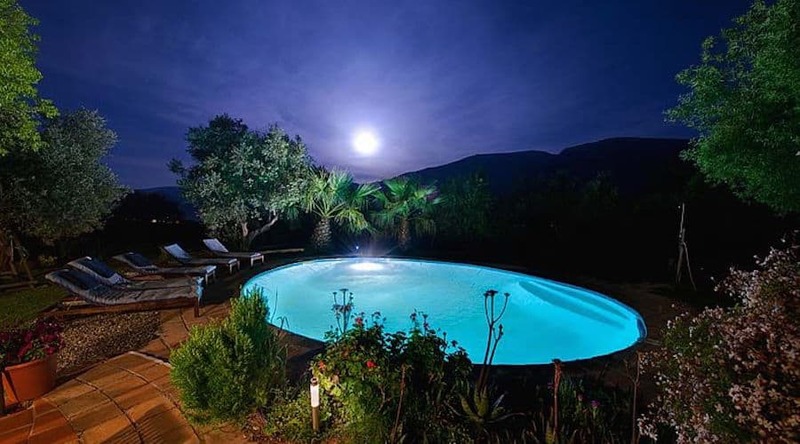 Additional accommodation in the grounds centres around five wooden ensuite Casitas, three are singles and two are doubles, fresh, white-washed interiors lead onto large private decks with mountain views. All rooms have climate control. For adventurous clients, there are two spacious canvas teepees available for the Summer months. Simple, yet comfortable with tiled floors, a single bed and electric lighting. They share an outdoor bathroom nearby, with the option to use an indoor bathroom in the main house too. Home-made lavender soap is provided. Towels for bathroom and poolside are provided with a mid-week change, or more frequently if required. 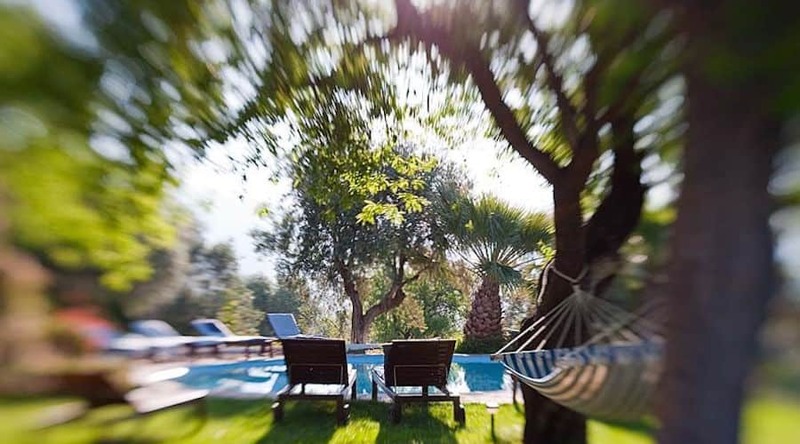 Other spaces to be: Gravitate to the sunbeds around the pool, lounge in the hammocks, or kick up your heels on the rope swing in the garden. There’s also a small courtyard which hosts a couple of chairs and a wishing tree where you can tie up your wishes and prayers. Circular walks are available right from the front door, using a simple map, and guided hill walks can also be booked on on all retreat weeks. The Mindful Yoga is gentle, meditative and restorative, so if you’re into cardio exercise, bring trainers so that you can burn off some energy outside the yoga shala. The weather is heavenly most weeks, ranging from 15C in spring to 30C+ in summer; evenings in winter and early spring can be chilly, so bring a shawl or wool jumper. March to May can be quieter months. To avoid the pre-Christmas holiday binge, choose a Seasonal Cleanse to nourish yourself with yoga, rustic walks and a fusion of tasty macrobiotic and ayurvedic food on a carefully curated week full of practical advice and that includes a mid-week cookery workshop. Kaliyoga is one of the few healthy holiday companies to offer something special over the festive season. Their Christmas and New Year retreats are ideal for those who want to try a healthier and more relaxing schedule over the festive season with yoga, creative cuisine, walking and the company of like-minded folks. 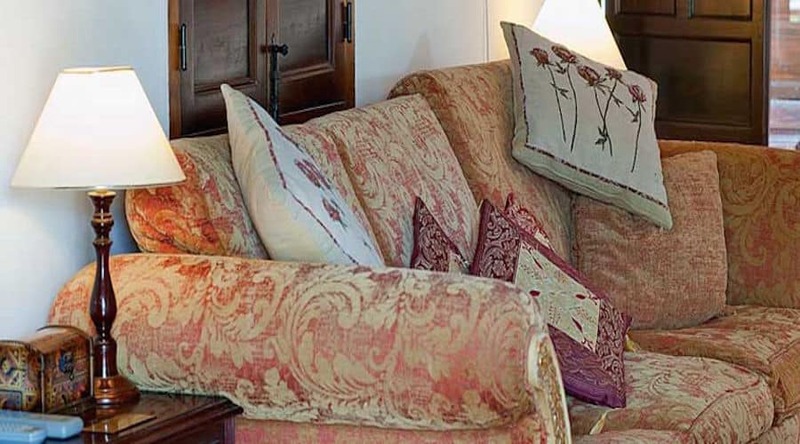 The farmhouse sitting room: You’re encouraged to treat the farmhouse as your own ‘home away from home’, and the sitting room is cosy with a relaxed boho feel – deep squashy sofas, quirky furniture, Indian textile hangings, Moroccan leather pouffes, a big woodburner for chilly nights and a snug room with well stocked bookshelves. Lighting is soft and there is wifi throughout the property, though you are asked to use it privately in your room to respect all other participants, many of whom may be enjoying a digital detox. 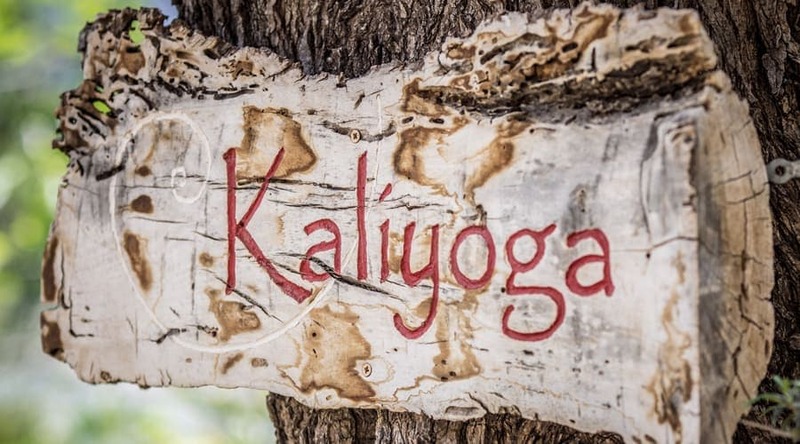 The grounds: Kaliyoga’s grounds extend over five acres with stunning views to the snow-capped mountains, and people gravitate to the swimming pool area with lounge beds and hammocks and the garden. Flowers and herbs provide a cacophony of colour and scent – you can pluck fresh mint or lemon verbena for your morning tea, or soothe sunburn with freshly sliced aloe vera. 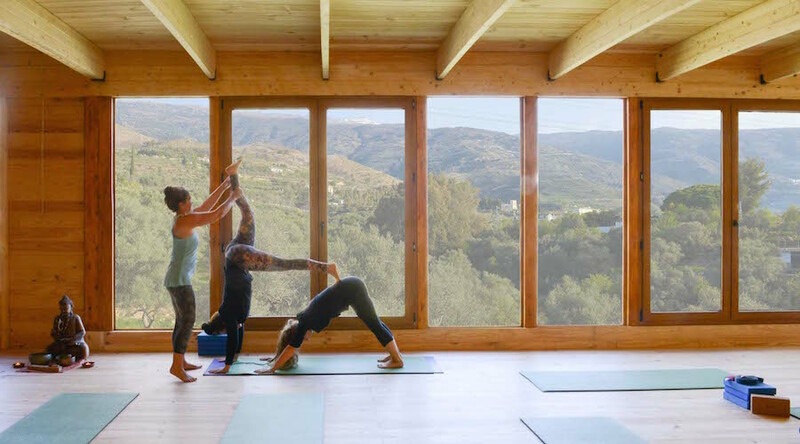 The yoga shala: Completely re-designed and extended in 2017, this 100m2 natural wood structure is set in a serene olive grove. Its main wall is glazed with six grand patio doors that open wide onto magnificent views of the Sierra Nevada mountains, with snow-capped peaks in spring. Peaceful and inspiring. The shala is very well insulated and has an efficient climate control system. Meals are usually eaten on a long table under the vine pergola by the pool. On wet or windy days meals are taken in the indoor dining room where a log burner provides ample heat. Unless you’re on a raw food cleanse or juice fast, food is vegetarian and alcohol-free. Breakfast could involve a superfood smoothie and fruit salad; lunch, gazpacho followed by falafel, humus and salad; supper, raw ‘lasagne’ and ‘cheesecake’ made from avocado. All healthily decadent and delicious. Unlimited hot herbal infusions with cleansing properties and fresh filtered fresh water are available all day, and Kaliyoga is alcohol-free. Mocktails are served before supper, but if you find yourself craving a drink during the week, there are cafes and bars in the local towns. Kaliyoga believes that an authentic yoga practice is the most effective thing anyone can do for sustaining themselves and the planet. That aside, when it comes to sustainability, the massage rooms and walls of the yoga shala are constructed of eco-friendly straw bales, and there are two compost loos (one near the shala and one near the teepees), a solar-heated pool and, wherever possible, household waste is recycled and organic waste is composted. I can’t say enough good things about this incredible yoga retreat. Maybe it will make a difference to say I took my husband with me, the first time he ever did a vacation like this, and he loved it too! First of all, the pace of the place is just perfect. The way classes are scheduled, walks in the mountains interspersed, free time in chunks, and healing treatments offered onsite allow for the right amount of leisure and structure. Instead of some fitness-type spas which have you scheduled minute to minute, you can do everything you want here and still have plenty of time to breathe. Which you will want to do outside since the sun is shining every day, even when it’s cold. Secondly, the yoga teacher Lelly is also just right for what we would want. She pays close attention to each guest, learned our injuries, made adjustments, and kept classes both moving and soothing. Our time their kick-started us both to yoga in 2019 and we have kept it up every day since. Lelly also made time to talk to anyone that had questions about how they could use yoga in their life, or particular health challenges. 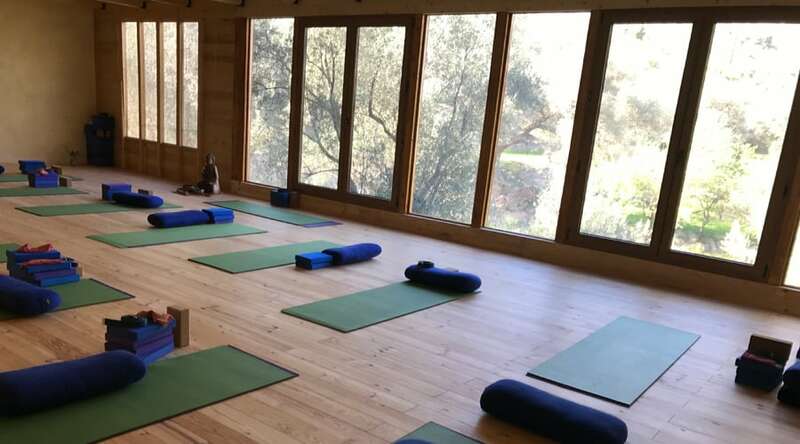 Our morning classes (looking out over a majestic view of the mountains through floor to ceiling windows in the “yoga chalet”) flew by – I never went to a 2 hour yoga class before without looking at the time. But with Lelly, you just want to keep on going. She planned and paced an ideal week that started gently and eased us into more challenging poses. Lots of props and assistance to try new things, but no pressure to go beyond your limits. She is really special. Third – what took me so long to get to this – the food! It’s all vegan and incredibly creative – and plenty of it to never feel hungry. Many of us were crowding around the kitchen asking for recipes whenever we got a chance. I didn’t know Andalucia had such bountiful produce all around (other than oranges, of course) and it was so fun to see crates of fresh veggies sitting in the kitchen every day. A special thanks to Kate, Sam, and and all the kitchen helpers who knocked themselves out making sure I could eat safely as a person with celiac. They whipped up the tastiest of gluten free breads and pastries (even a mince pie for the holiday). Breakfast with Becs (the nutrition consultant) on our last day was a feast for the eyes and stomach, and her gluten free bread is something I will be trying to replicate at home ASAP. Fourth (there is so much to say! )… Jane – the retreat manager – works tirelessly to make sure everyone gets what they want without much fuss as the whole point is to de-stress. So there is a system that is pretty easy for us – write our names on a board to sign up for treatments we want – but pretty time consuming for her to coordinate with the practitioners. So many of us were surprised by the incredible array of skilled practitioners in the healing arts who live in this part of Southern Spain. We had a choice of a full menu of reflexology, thai massage, sports massage, acupuncture, energy healing, osteopathic treatments, nutritional consultations and more…. and we all compared notes afterwards. I didn’t hear one person who was disappointed in their treatment – only raves (or happy siestas with closed eyes in a perfect zen-like state). Finally – the days we went hiking were fantastic. Beautiful scenery, informative and friendly guides, and a great chance to see the area and spend more time with the interesting people in our group. Lots more I could write but basically – just grab the spot if you can. You won’t regret it (and you likely won’t want it to end:) And if you have a spouse, friend or family member resistant to try it, don’t hesitate to encourage them. They will thank you for it. How many crowns would you give this retreat?